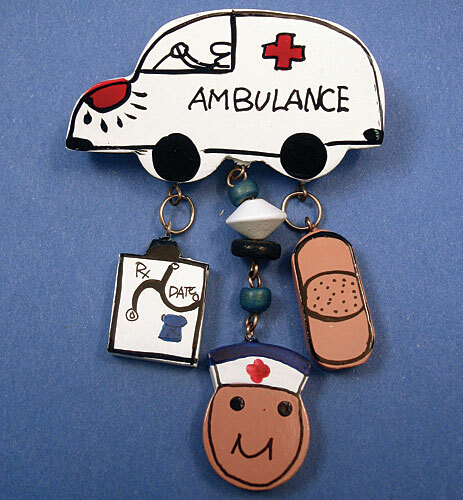 Ambulance Decorated Wood Pin [AU87303] - $2.97 : Gifts for Educators!, Education-themed gifts for teachers, students, school personnel, family and friends; including awards, bells, school bells, teacher bells, ribbons and much more. Individually hand crafted and painted wood pins, finished with durable urethane enamel. Each has a safety lock pin. Gift boxed.